Its all well and good making a Google Ads campaign, but is it reaching your customers and is yours campaigns Google Ad Rank in the top search results? Your bids amount. How much are you willing to pay for a click on your ad? Expected clickthrough rate. A prediction of how often an ad will be clicked on when shown for a particular key phrase or keyword. Great landing page. Make your landing page relevant to the search, also keep content original and unique. Ad relevancy. This is calculated by analysing the language in an ad to establish how well it relates to a search query. Ad formats. Use ad extensions like sitelinks, phone number, address, or a particular page on your website that the search relates to. These are all factors that will contribute to a higher-ranking ad through your google ads account. 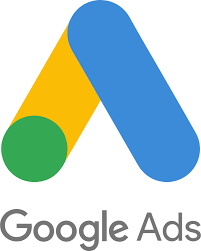 If you do not have a Google Ads account, have one but don’t know how to use it or just don’t have time to manage it, leave it in the hands of professional digital marketers. Having a website or campaigns for your business is great; but are you keeping on top of them and making sure they are performing in order to meet your business goals? What is PPC and how will it help my business?